Whether you spent your childhood along its banks, enjoy fishing its currents, live near it, or just appreciate the view as you drive over it, if you love the Fox River, you have found kindred spirits in The Conservation Foundation and the Hamill Family Foundation. The siblings who make up the Hamill Family Foundation love the Fox River so much that they have funded The Conservation Foundation’s new Fox River Education & Outreach Initiative to thrust the river into the spotlight of the communities it runs through. 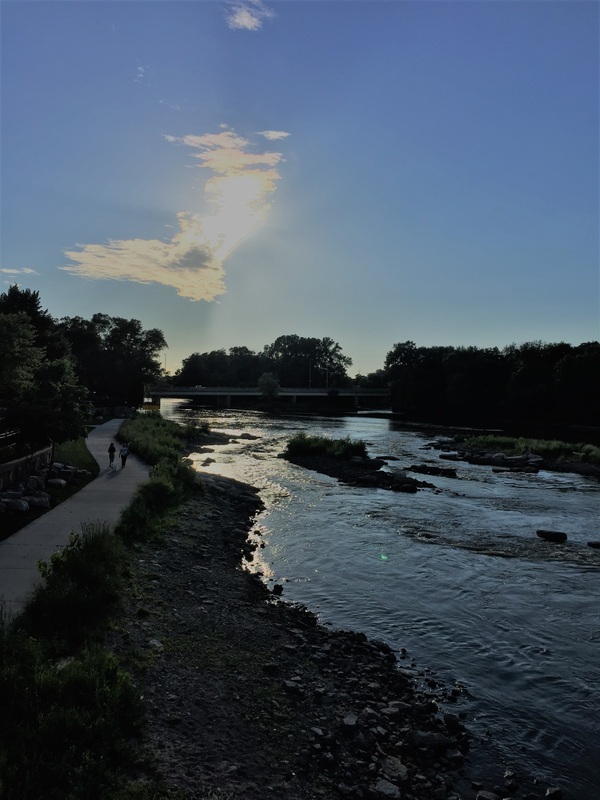 The main goal of the Fox River Initiative is to instill in watershed residents that same love and respect for the Fox River ecosystem and the many values – cultural, social, economic and ecological – that it provides. As part of Art of the Fox, our Artist-In-Residence Joel Sheesley has created 72 original Fox River landscape paintings. Selected paintings from this body of work will be on display in several Fox Valley locations in the coming year. The original paintings are for sale, as well as a selection of limited-edition high quality prints signed by the artist and a book of Joel's paintings and writings from the field. Over the next five years, we will be addressing the health of the Fox River in a variety of ways, from educating schoolchildren and scouts, providing community workshops on sustainable landscaping practices, wildlife and other relevant topics, helping community leaders craft their ordinances and community management policies with the health of the river in mind to capturing the beauty of the Fox on canvas and encouraging the public to interact with the river that defines our communities. Visit our website often to see how you can get involved and show the mighty Fox River some love! Trish Beckjord is Program Manager for the Fox River Initiative. Feel free to contact her at any time with questions and ideas! She can be reached at 630-428-4500, Ext. 206 or by email.